The Tiber river, was the boundary of two ancient civilizations which populated Umbria in the ancient times: in the West were the Etruscan domains, wheras the East was the Territory of Umbri which gave their name to the whole region. 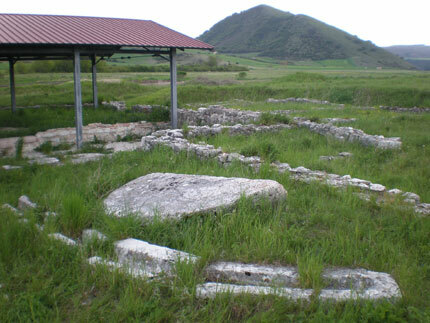 We start the discovering of the ancient populations which lived in the region, by visiting the Museo Archeologico di Colfiorito. 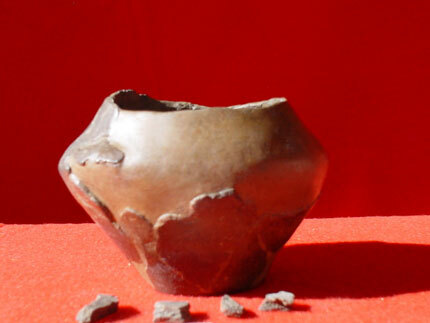 Here we find many finds, the majority coming from grave goods of pre-roman ages. 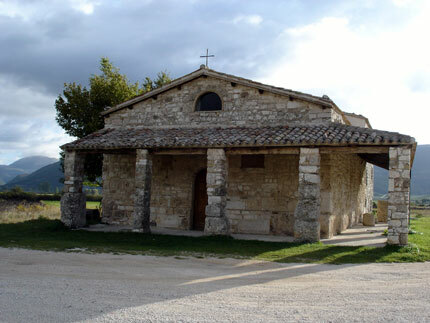 Next we will see the ancient Church of Santa Maria di Plestia, and we’ll visit the opposite archeological site, where we could find traces of the transit of Annibal and of the battle he fought with the roman armies. 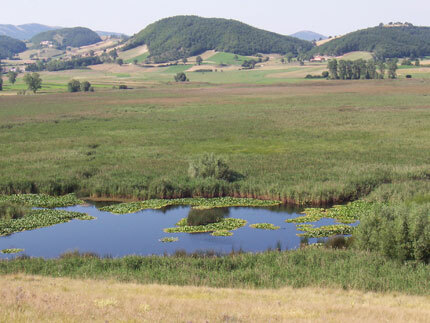 Finally I suggest a Walk alongside the natural reserve Oasi naturalistica di Colfiorito towards the Molinaccio and the natural sinkhole, typical of these karstic areas.